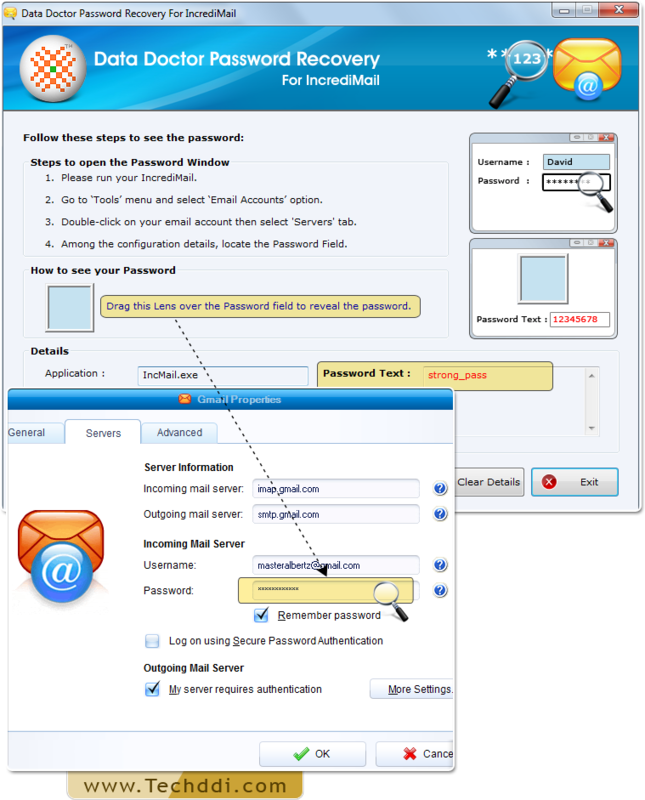 Password Recovery For IncrediMail allows users to reveal misplaced or lost passwords of email account in IncrediMail regardless of its complexity. 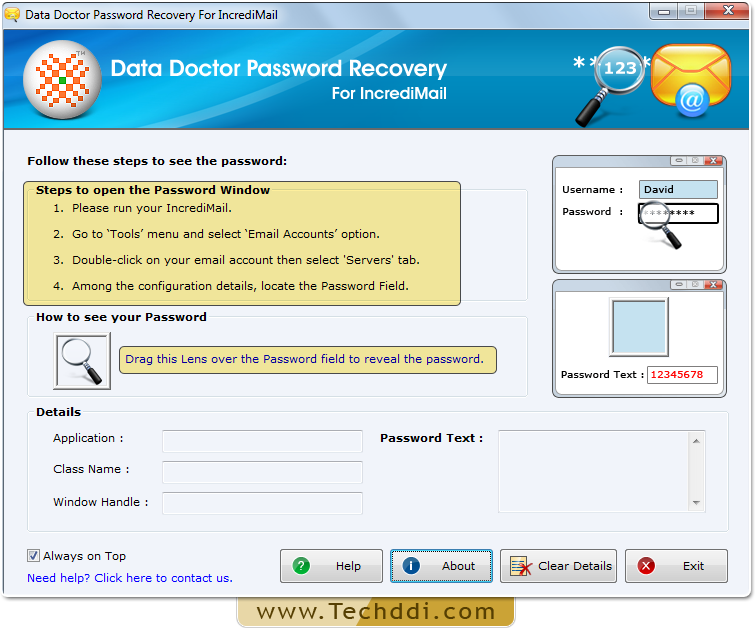 Password recovery tool works with all major Windows operating systems. 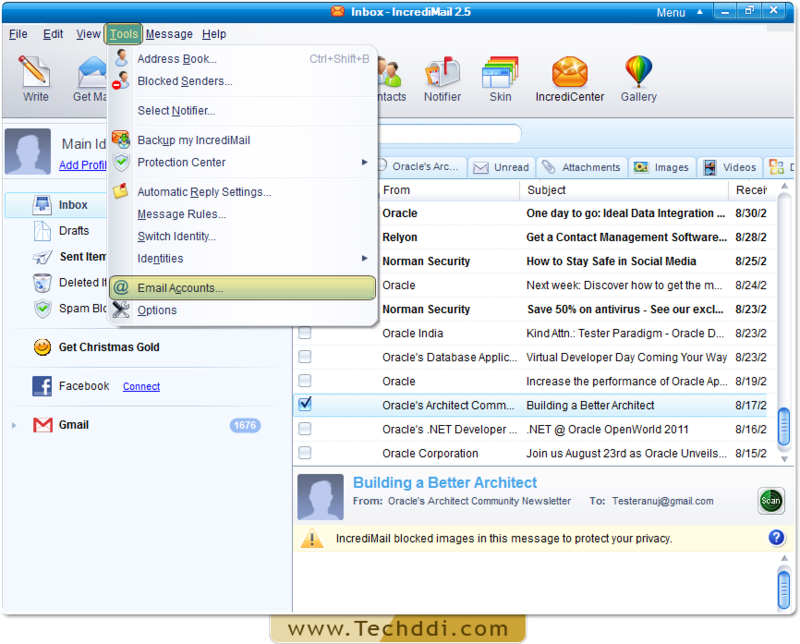 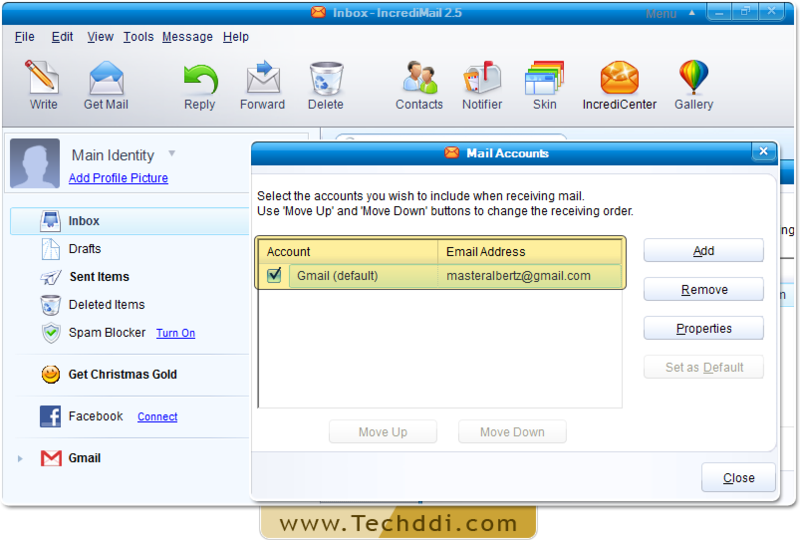 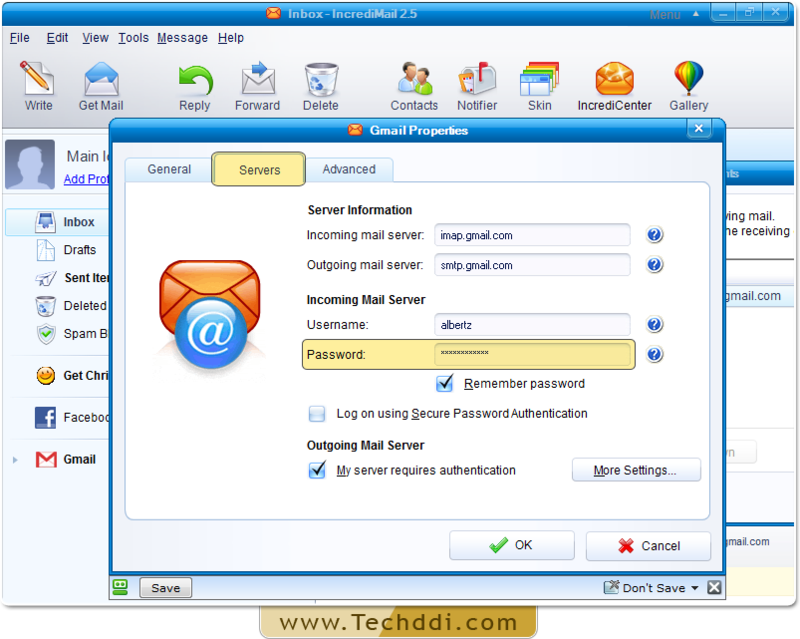 Install and Run Password Recovery For IncrediMail. 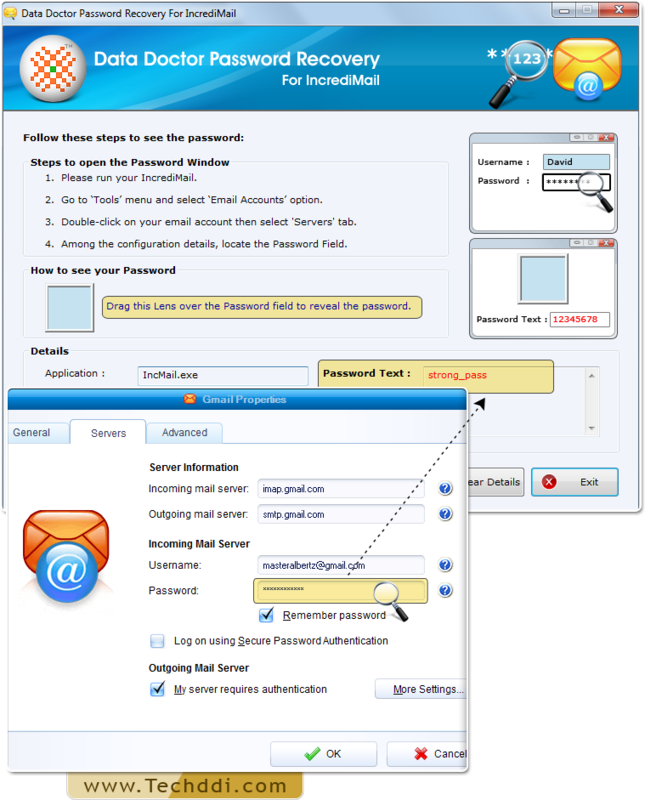 Locate password field among configuration details.